WOW! This is really amazing. Imagine that. I sure would never forget that. I recall as a child seeing a homeless man without a coat in the dead of winter. Well I told the man to wait there and I went home and brought back to him a warm coat. He was happy but my Mother let me have it. Ha! Ha! 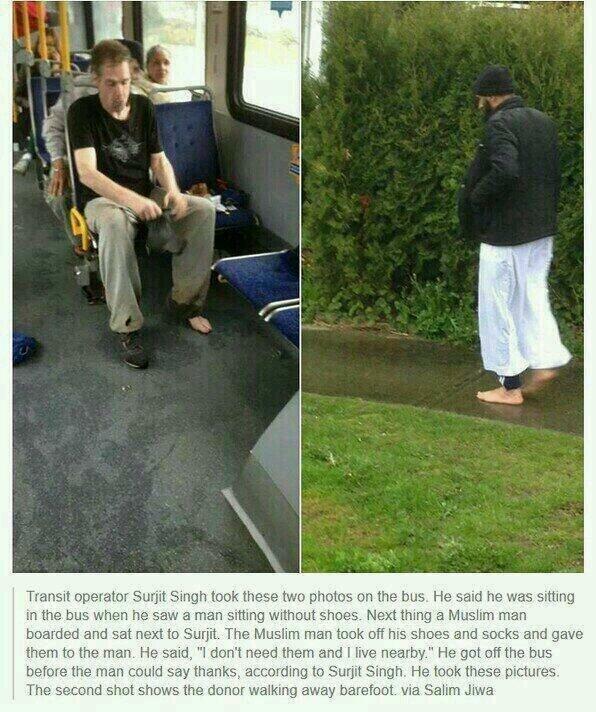 The man warmed another’s feet by sharing his shoes and socks, but he warmed the hearts of many with his kindness.